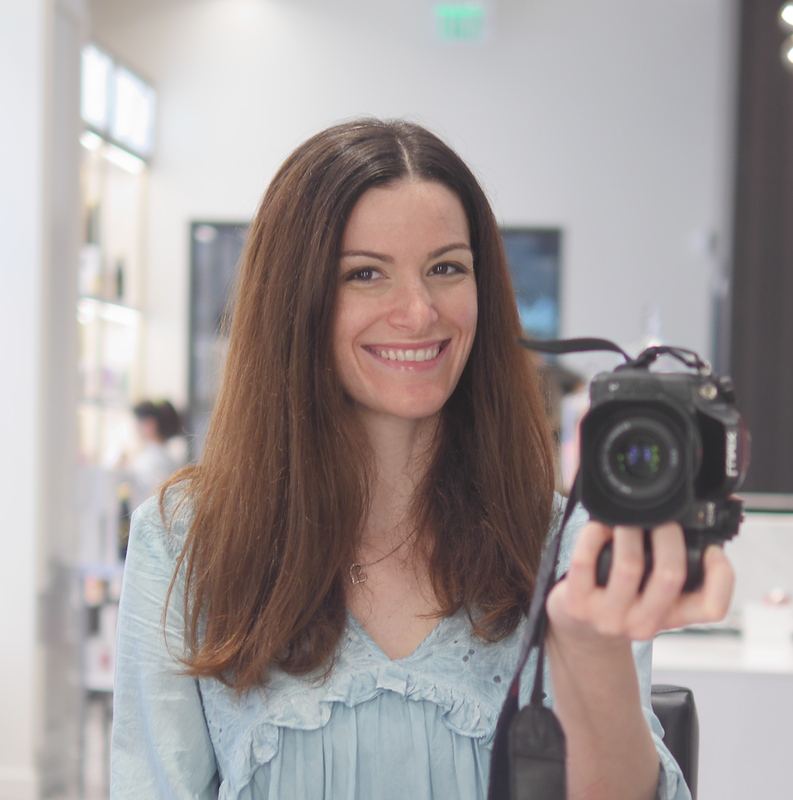 Recently I had the opportunity to visit the new location of Red Door Salon & Spa in North Bethesda, Maryland. 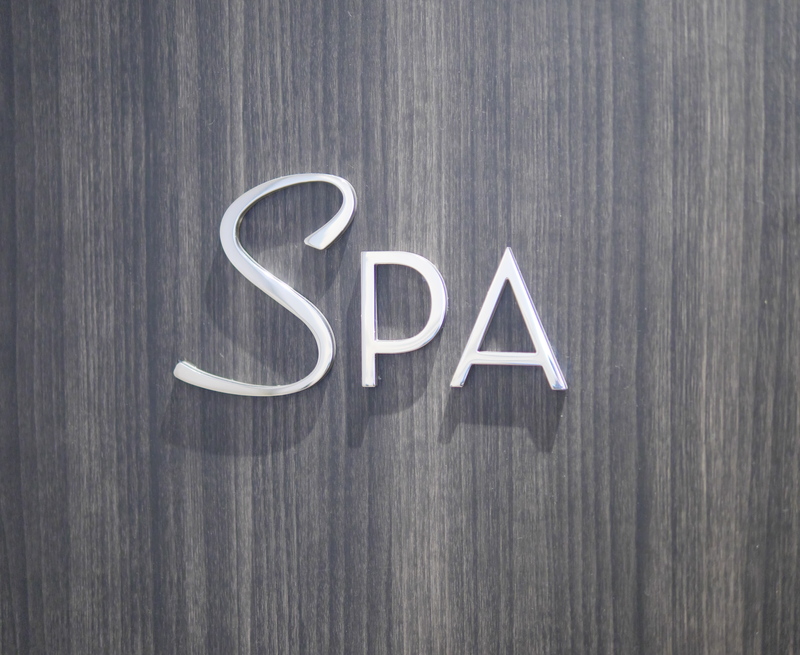 If you are looking for a spa pampering experience, this is the place for you! Located in the community of Pike & Rose, the spa is close to shops and restaurants that are perfect for a day out of the house. 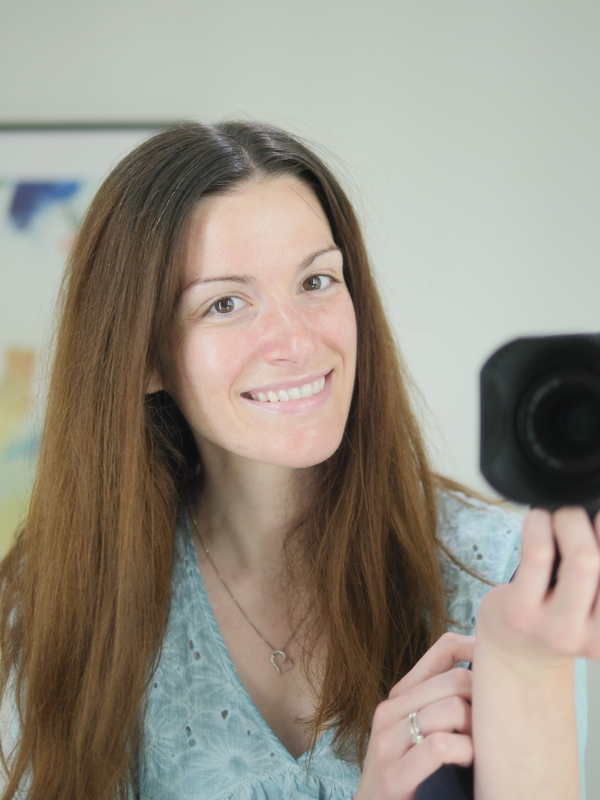 Featured today on Theresa’s Reviews is my experience with the Essential Facial and a complimentary makeup refresher. Whether are you heading out with friends or spending an afternoon alone for some much-needed Me Time, this is the right place to go! Visiting the spa indulges your senses and reminds you to care for yourself more often. Walking into The Red Door Salon & Spa, the first thing I noticed was how glamorous the decor was. 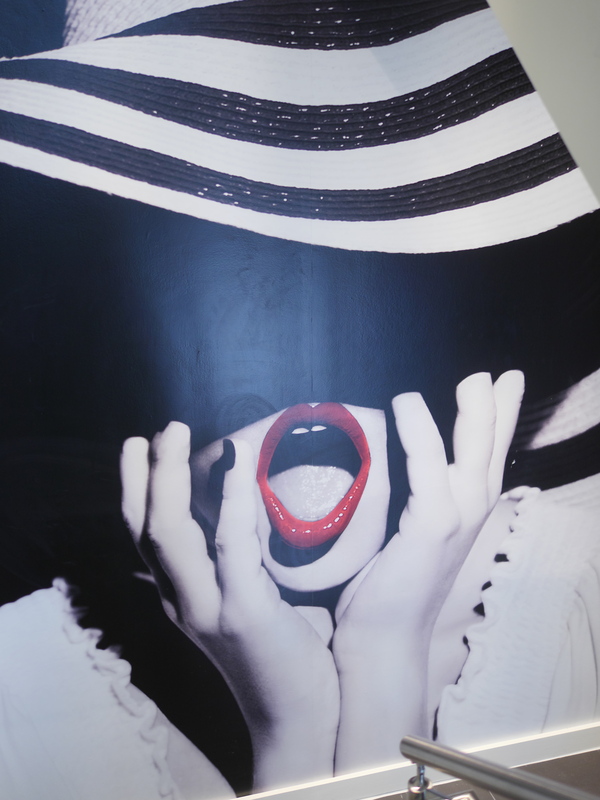 In the front entryway, a large black and white photograph of a woman with bright red lips and a large, striped sun hat helped set the ambiance. 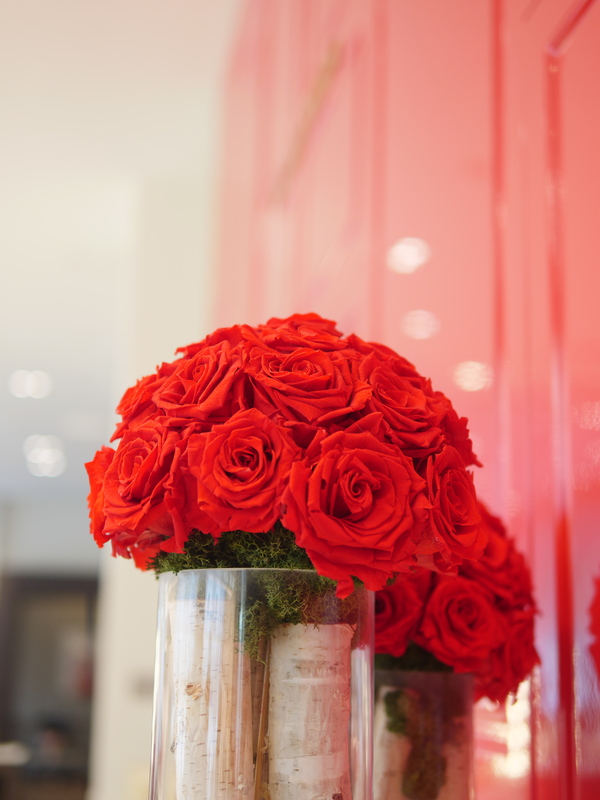 Since The Red Door Salon & Spa was originally founded by Elizabeth Arden, who was known for supplying 15,000 suffragettes with red lipstick as a sign of solidarity during a march, the decor has a vibrant red theme. This adds to the excitement of making a bold choice with your spa beauty and wellness regiment. With the Essential Facial, the personalized service is customized to address each unique guest. For my sensitive skin, the esthetician applied the Elizabeth Arden PRO line, which is designed to sooth and calm skin. This could vary for each guest to best meet their needs. 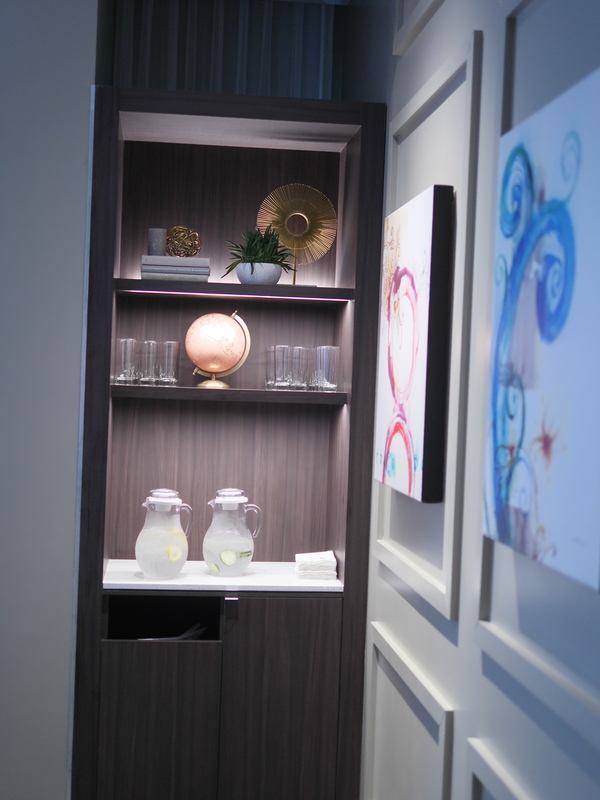 With a service beginning with lavender and eucalyptus aromatherapy, relaxation begins right away. Any makeup worn to the facial was removed with the Elizabeth Arden All Gone Makeup Remover Facial Cleanse and the Skin Illuminating Smoothing Cleanser. Next, the esthetician analyzed my skin to determine specific skin concerns as well as which products and enhancements would work best. Different enhancements you can receive include a collagen mask, enzyme peel, vitamin C mask, or lactic peel. Using steam, exfoliation helped deep clean my pores. She said I should be using facial polish every other day, but not a scrub, as that would be too harsh. Receiving tips on my skin care routine made the experience very useful. This was followed by a hand and arm massage with an application of warm hydrating body cream to my arms and hands. Warm mitts were placed on my hands and left there for the remainder of the service to allow the cream to deeply penetrate and hydrate the skin. The warmth of the mitts kept me comfortable and relaxed. Since I have combination skin, she did extractions and gave me advice to pull my hair back more often to keep oil off my face. With a high-frequency machine, my skin received light zaps with a wand that killed bacteria, reduced inflammation, and helped accelerate healing. To close my pores, cooling ice globes were briefly placed on my skin, which soothed and calmed any redness. The esthetician did a face, neck and décolleté massage using a signature Elizabeth Arden technique. Finally, I received a mask application with an Elizabeth Arden PRO Illuminating Enzyme Masque Collagen Lip Treatment during the mask. When the mask was removed, she applied a facial serum, moisturizer and eye cream with the Age Defense Multipeptide Eye Concentrate. I was very happy with the end result! My skin looked clean and healthy with minimal redness. Not only was the experience relaxing, but it was also very effective in improving my skin. 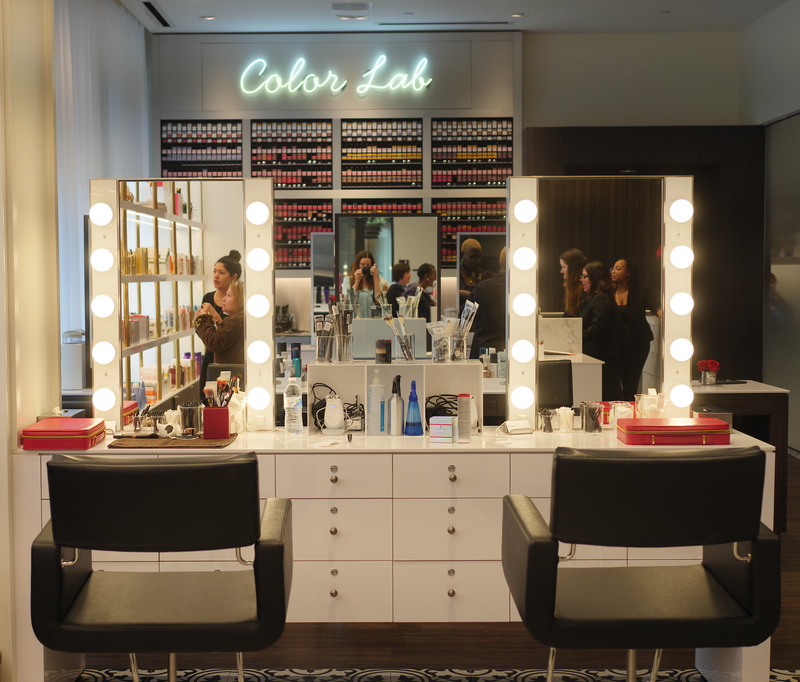 After a facial, Red Door Salon & Spa offers a complimentary makeup refresher. This includes a touch of color on the eyes and lips to give you a fresh glow as you leave. If you’re looking for a luxurious spa pampering experience, I highly recommend the Essential Facial! Not only was the staff was professional, but I was also very satisfied with the service. 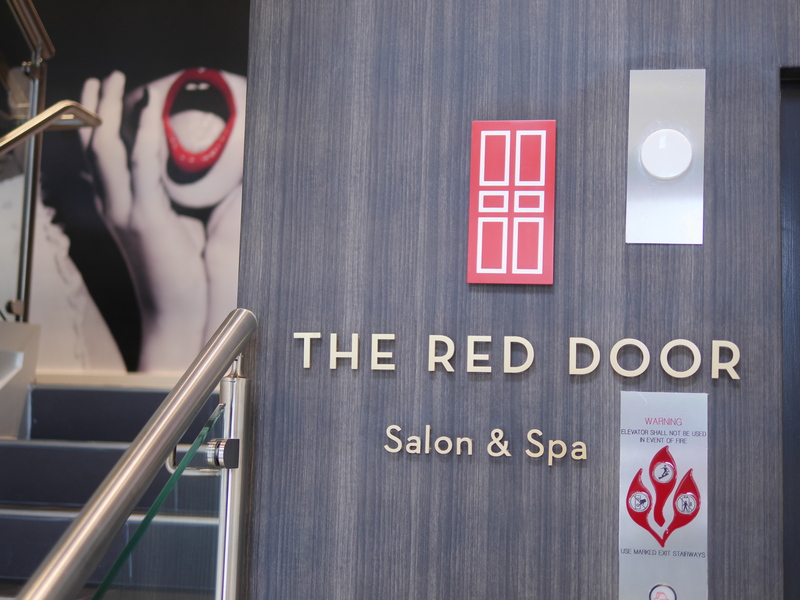 The Red Door offers a perfect combination of salon and spa where women and men can have it all. The intuitive, streamlined menu offers guests a selection of massages, facials, body treatments, nails, hairstyling, waxing and makeup services, which can be customized to elevate anyone’s personal experience. With over 100 years of expertise, The Red Door continuously innovates its offerings with expertise stemming from Elizabeth Arden, a pioneer in the spa industry. 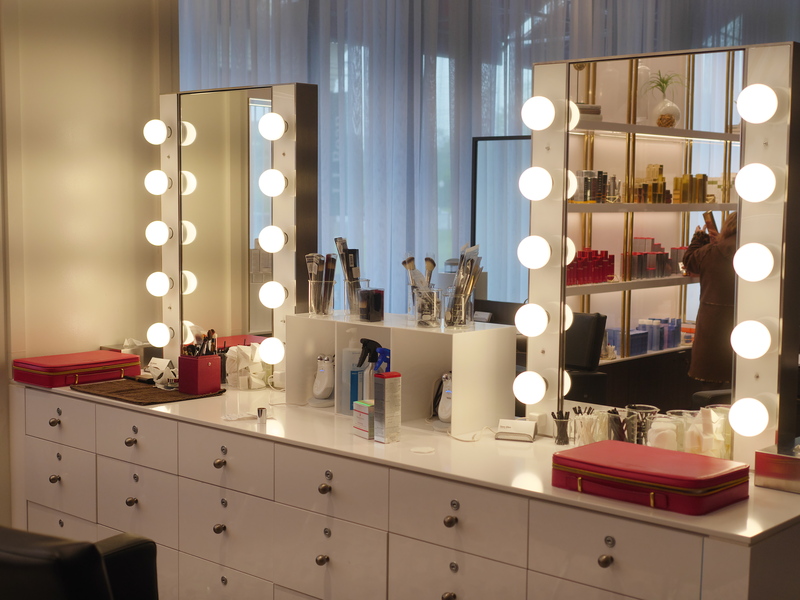 Spanning 28 locations nationwide, The Red Door is the perfect escape to recharge with a massage, fresh manicure or a sleek blowout – where guests will leave feeling taller, stronger and bolder. The Red Door recently also opened a new location in College Park in The Hotel at The University of Maryland. If you enjoyed reading this, you might also want to check out 3 Tips For Having A Productive Day. For more lifestyle tips, follow Theresa’s Reviews on Facebook, Twitter, Instagram, Pinterest, and YouTube.